Lately my parents have been talking a lot about how to save money and how to move their money around to pay the bills that they have because my dad’s job is getting cut back a little bit. So money is a little bit of a situation in our house. We have to think about how we can save. ALMOST TWENTY YEARS AGO, WHEN he was running for president for the first time, Bill Clinton had a campaign strategist from Louisiana named James Carville. Carville, whose nickname was the Ragin’ Cajun, gets a lot of credit for Clinton’s victory because he focused the campaign on the economy. He even wrote the words “It’s the economy, stupid” on a piece of paper and posted it in the campaign’s war room, a sort of mission control, so that no one would forget what they should be emphasizing. What did Carville mean? He understood that the early 1990s, much like the last few years, and of course the Great Depression, were a time of financial worry for many people. When the economy is chugging along nicely, there are plenty of jobs, businesses are growing, and prices on things that you need to buy every day, like gas and milk, aren’t out of control, and as a result most people feel safe and secure. When it is not, people want change—and they vote for change. That’s what ushered Barack Obama into the White House in 2008. By making sure that the Clinton team remembered, every day, that the economy was issue number one, Carville and company won the White House. The economy has been issue number one in the last few years as well. Any time you turn on one of the twenty-four-hour news channels, you are likely to hear about it. But what is the economy? What is it really? The economy, simply put, is the exchange of goods, services, and natural resources by people and companies. Goods are physical products. Guitar Hero is a product. So are AirHeads. Services are jobs or functions that people or companies perform for one another. Cooking dinner in a restaurant is a service, so is designing a website or fixing an air conditioner. And natural resources are non-man-made items that can also be exchanged. Coffee, natural gas, and water are all natural resources. When people talk about “the economy” on television, they are usually talking about the national economy of the United States. But your town, city, state, and region have smaller economies of their own. And the global economy includes all of the different goods and services being exchanged around the world. I Asked: How is the economy doing? Well, I know that we’re in trillions of dollars of financial debt and that in this economy there’s no room for spending. We’re in a recession. It’s not a depression. It’s a little before that. You hear all this stuff about how the economy is bad.… I don’t really get any of that. As you can see, when I asked the question, the perception was that the economy was struggling. But there is—at any point in time—a real way to tell how the U.S. economy is doing. We have many ways to measure it, but the main measurement tool is called GDP, or gross domestic product. This is the value of all of the goods and services in the country. Essentially, it’s the size of the economy, but you won’t usually see GDP expressed as a dollar amount. Instead it’s expressed as apercentage and used as a comparison from quarter to quarter or from year to year. For example, you might hear a reporter on a financial news station report that the U.S. GDP is up 2 percent year-over-year. That means the economy is 2 percent larger than it was last year. If GDP is up, the economy is growing, and that means good things, like more goods, more services, and more jobs. GDP tells us what is happening in real time. Then there’s the crystal-ball data—signals, or indicators, that tell economists if things are headed up or headed down. Some of these signals are called leading indicators. They move ahead of the economy. If a leading indicator is up, the economy as a whole will likely be growing. The stock market is a leading indicator. It goes up before the economy does. Other signals are lagging indicators; they move after the economy. Unemployment is a lagging indicator. It improves after the economy is already showing signs of getting better. And then there is inflation. Inflation is a measure of the price increase in goods and services. You may think higher prices are always a bad thing, but they’re not. If an economy is going to continue to grow, prices have to go up and wages need to rise. The key is that neither of those things goes up much more quickly than the other. For example, if prices rise too far too fast, but the amount of money you’re earning lags behind, you likely won’t have enough money to buy the things you need. And if you—and all the consumers like you—aren’t spending, the economy will suffer as a result. Back in the 1970s the United States went through a period of double-digit inflation. The economy was struggling, the Vietnam War had just ended and energy prices were soaring (ask your parents to tell you about the lines at the gas pumps when Jimmy Carter was president and they were kids). Since then things have been much better. Recently, inflation has been averaging about 3 percent, which has no one worried. On the front, in the top left corner, right under “THE UNITED STATES OF AMERICA,” it says in smaller type: “This note is legal tender for all debts, public and private.” You’ll find the same words on every bill, from twenties to hundreds, and they mean that the U.S. government will back up a dollar with a dollar. And because the government always has, everyone therefore believes a dollar is worth a dollar. The next question, of course, is: What’s a dollar worth? Your parents may chuckle and say something like, “Not as much as it used to be.” That’s because of inflation, which over time has eaten away at the purchasing power of the dollar. When I was your age, for example, I could buy a can of Mountain Dew (my favorite!) for twenty-five cents in the vending machine at my summer camp. Today the same can of Mountain Dew is likely to cost you seventy-five cents or even a dollar. That’s inflation at work. It actually affects the U.S. economy a great deal. For the last few decades 70 percent of our economy has been totally supported by consumer spending—on everything from food and housing to health care to stuff. The other 30 percent of GDP comes from government spending. Over the past few years your parents and other adults started saving more and spending less, which was good for them individually, but it wasn’t all that good for the economy as a whole. Spending money rather than socking it away boosts the fortunes of companies and the economy overall. CONSUMER CONFIDENCE: This is how positive consumers are feeling about how the economy is doing. It is measured by how much people are saving and spending. THE DEFICIT: If you spend more money than you have, you have a debt. The amount of that debt is the amount you owe. When the federal government spends more than it takes in—from taxes and other sources—each year, that is called a deficit. If the government is able to spend only what it takes in, then its budget is balanced. One worry of a big deficit is that it can lead to inflation. I wish it were as easy as that. Unfortunately, though, if you make more money without increasing the value of what’s backing up that money, its value will drop. You’re probably wondering, What backs up our money? The answer is the strength of our economy and the amount of goods and services that we produce. If our economy gets bigger, our money will get stronger and remain strong. If we just print more money or pump more into the system, its value will drop. Inflation, or an increase in the prices of goods and services, would also occur. UNEMPLOYMENT AND THE UNEMPLOYMENT RATE: This is another indicator of how the economy is doing. If you’re over the age of sixteen and have a job or are actively looking for a job, you are a part of our nation’s labor force. If you are in the labor force and you don’t have a job, you are unemployed. Every month the government conducts a survey to get an idea of how many people are working and how many people are unemployed. In July of 1999, 4.3 percent of the nation’s labor force was unemployed. That’s about where the unemployment rate should be. At that point few people are worried about it. Ten years later, in early 2010, the unemployment rate soared to 9.7 percent and many people were worried because it was yet another signal that the economy was suffering. When the unemployment rate is high, people have less money, they buy less, and fewer goods are produced. In recent years more banks have failed than usual. In 2009, 92 banks failed, the largest number since 1992, when 181 banks failed. Your money is safe, though, because of something called the Federal Deposit Insurance Corporation, or FDIC. The FDIC was established by the Banking Act of 1933. The FDIC was created after the Depression to restore people’s confidence in banks. Until 2008, any individual account holder could put up to $100,000 in a bank and know that it was insured by the government. If the bank went under, the government would be responsible for giving you back your money up to that $100,000 amount. In 2008, however, we entered the period called the Great Recession. Q: What’s the difference between a recession and a depression? A: A recession is when your neighbor loses his or her job. A depression is when you lose yours. Not so funny, I know. During the Great Recession jobs were being lost. Banks and brokerage houses were going under. And the head of the FDIC, a woman named Sheila Bair, started to fear that we were going to have another period of panic and bank runs, and that that would make an already shaky economy even worse. So she worked to have the limits on FDIC insurance raised. Today, as a result, each individual can put up to $250,000 into any one bank and know that it is insured by the FDIC. What if you have more money than that? Then you need two names on the account—a husband and a wife, or a parent and a child—to double the protection. Or you need to open accounts at two or more different banks. One more thing: Just because a bank fails does not mean you have to rush to pull your money out. Typically, a bank fails when it can’t meet the needs of its depositors. Then the FDIC steps in. It may operate the bank itself as a federally owned bank or very quickly sell the bank to another bank that isn’t having financial problems. Unless you read about it in the paper or online, you as a depositor may not even know what’s happening. You can still use your debit card or write checks. You can still use your ATM card. You just may go to sleep thinking that your money is in the First National Bank and wake up to find that it’s in the Second National Bank. Eventually you’ll get a new ATM card or debit card or checks, but there’s no need to panic, because you’re not likely even to feel the change. But what determines interest rates? Let’s focus on one interest rate in particular. The fed funds rate is the interest rate at which the Federal Reserve (the central bank of the U.S. government) lends money to banks. It is controlled by the Federal Reserve itself. Eight times a year the Federal’s Open Market Committee meets to decide whether it will raise the federal funds rate, lower it, or leave it unchanged. Many other interest rates—from the prime rate (the interest rate that banks charge their best customers), to the interest rate you earn from your bank on your savings, to the interest rates you pay to buy a house or a car—are affected by changes in the fed funds rate. But interest rates aren’t the only things affected. The stock market tends to rally, or move higher, when interest rates are reduced, because businesses can borrow more money cheaply. When interest rates rise, the stock market generally has the opposite reaction. The Federal Reserve’s Chairman and its Board of Governors understand that if interest rates are high, people are likely to borrow (and spend) less and save more. And if rates are low, people are likely to borrow (and spend) more and save less. They use this knowledge to move the economy to a place where it is growing not too quickly, not too slowly, but just right. (This is called the Goldilocks economy.) Getting the economy to behave like the fairy tale, however, is far from easy. It takes a lot of understanding of how the economy works, and sometimes trial and error. And it’s not a perfect science. Think of it this way: The Fed has tools that can help the economy along, but it can’t control it completely. Managing the nation’s money is a big job… but it must be done. In the United States that job falls to the Federal Reserve. The Federal Reserve—or the Fed, as it’s commonly known—is our nation’s central bank. Created in 1913, the Federal Reserve System was designed to keep our country’s monetary and financial system safe and stable. The Federal Reserve is made up of twelve banks across the country and a number of branches. These banks and branches are under the careful watch of a group known as the Board of Governors. The board is made up of seven members who are first chosen by the president and then approved by the Senate. The Fed regulates the United States’ interest rates and money supplies; distributes money to the country’s banks, credit unions, and savings and loans associations; provides financial services to the U.S. government; and educates the public about the economy. Since 2006 the Federal Reserve chairman has been Ben Bernanke—Time magazine’s Person of the Year in 2009 for avoiding another Great Depression. Before becoming chairman, Bernanke was the chairman for the president’s Council of Economic Advisers. He also served in several other roles in the Federal Reserve System and for many years was an economics professor. How did Bernanke get so smart about the economy? He studied. A lot. Bernanke graduated from Harvard with a degree in economics and went on to get his PhD in the subject from the Massachusetts Institute of Technology. Time called him “the most powerful nerd on the planet.” Sometimes being a nerd pays off big-time. How often have you heard a parent exclaim, “My kids think that money grows on trees. They have no idea about the value of money. They just want, want, want.” How do children learn about money? What is it we want them to know? Do we know enough to explain money management to them, and are we comfortable doing that? Not Your Parents’ Money Book is a step-by-step discussion of the important issues of personal finance and money management. The author, Jean Chatzky, spent three months meeting with groups of middle school and junior high school students from around the country. She discovered what these young people already know about money and what they wanted to find out. The results are highlighted in this very readable book that features fun facts, trivia, and real information about the students’ pressing question of how one can make more money. Parents, grandparents, and teachers can use this fact-filled handbook. It is a great resource for any adult who has a special relationship with a preteen or teenager. Below are two guides: one for parents and another for teachers. The parents’ guide provides an overall look at the book’s content and offers suggestions suitable for home use in a one-on-one setting. The teachers’ guide is a chapter-by-chapter list of discussion questions and activities for the classroom or reading group. Please use whichever information is most appropriate for your situation. And please enjoy the understandable way in which the author presents the details of a complex subject. Not Your Parents’ Money Book is a handbook about personal finance for middle school and junior high school students. While the content is written in language appropriate and interesting to young people of this age, its chapters are packed with important and useful information for folks of any age. Adults can use this book as a shared experience with their child in any or all of the following ways. 2. Share your own money experiences with your children. At whatever level you are comfortable, inform them of your household’s mortgage costs, car expenses, and food costs. 3. Your child’s allowance is a lesson in money management. If your child does not currently get an allowance, begin it now. Be sure to agree upon the expenses that the allowance will cover since that determines the amount you will provide each week. 4. Let your preteen/teenager help you balance your checkbook. If he or she is earning extra money, it might be a good time to open a checking account in his or her name. This is a good time to open a savings account too. 5. There are many exercises and quizzes in each chapter of Not Your Parents’ Money Book. They complement and reinforce the ideas presented and they are fun to do with your child. 6. Enjoy this experience with your child. 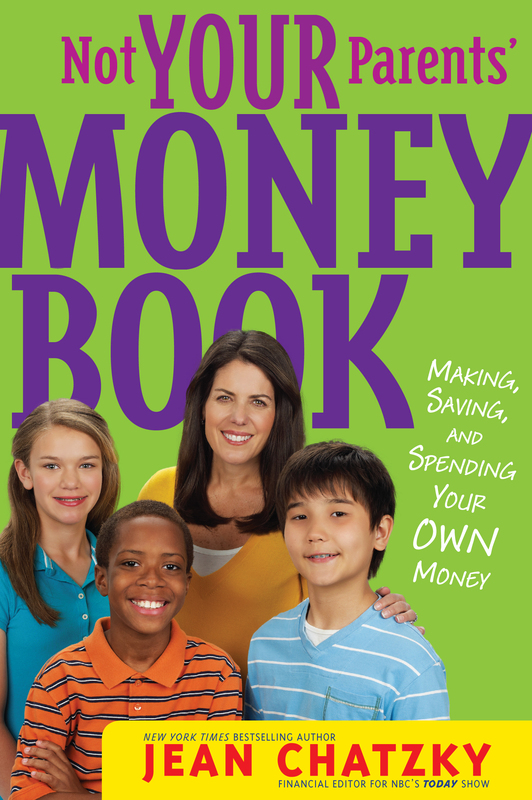 It will refresh your knowledge and open your child’s eyes to the real world of money. The following guide presents discussion questions and activities for each chapter or topic in this book. The content is written in language appropriate and interesting to ten- to fourteen-year-olds. There is much important and useful information packed into each chapter. Use the discussion questions listed below to start the conversation about the subject matter before the actual book chapter is read. There are quick quizzes embedded throughout the book which should be used as the class learns the content of each chapter. Suggested activities can be conducted as individual or group projects. Not Your Parents’ Money Book is a “real world” math unit that holds student interest. Do not underestimate the sophistication of your students when it comes to this topic. The goal of this book is to give young people a basic understanding of personal finance. Depending upon the age and academic level of the students, the teacher can modify the objectives listed below. Not Your Parents’ Money Book is progressive. Each chapter builds upon the information in the previous ones; this guide is written with that in mind. Look through the book: chapter titles, appendices, glossary (note that each underlined word in the text is listed in the glossary). Pay particular attention to the list of online games that enhance the concepts presented in the book. 1. Why is money important? 2. How do you manage (handle) your money? What do adults mean when they talk about “the economy”? Are we presently in a bad or good economy? Find out the GDP (Gross Domestic Product) of the United States for this quarter. Is it good or bad? Design a flow chart describing the movement of money in the banking system. Divide students into groups of five or six people. Each group has the assignment of finding out what happens to the country’s overall economy when interest rates go down or interest rates go up. Each group gets one assignment so there will be more than one group looking at both situations. Did all the groups reporting on low or high interest rates draw the same conclusions? How does one get enough money to live comfortably? How much money do you think you need to live comfortably as an adult? What have you learned from your parents about money? What does “delayed gratification” mean? How can you make money (and not just through babysitting)? Generate a list of jobs for young teens. Compare it to the list found in Chapter 3. Have students take the quick quiz in Chapter 3. How much money does a young person need in a year for going out on weekends, clothes, school supplies, and snacks? How much money do you believe your parents spend on you each year? How much do you think the average adult in the United States earns each year? What are the best paying jobs/professions in the United States? What do really famous people earn? Make a list and compare it to the salaries listed in the book. Discuss the difference between “needs” and “wants.” Use the worksheet in this chapter. Have each student keep track of what they spend for a week or a month. Group activity: Make a bar graph depicting age and allowance amount. What do you need to save money for? What do you want to save money for? How much money should you save? What do your parents think? Do they agree with your estimate? Find a picture or draw one of something you want to save for. Hang it above your desk or make it the background on your laptop or cell phone. It will be a reminder to help you save. Complete the needs-and-wants worksheet in this chapter. What is a bank? What is a credit union? How does a checking account differ from a savings account? Have students refer to the checklist included in this chapter. What information does it contain? Practice balancing a checkbook. Search online for sample statements and checkbook illustrations to share with the class. Does anyone have his or her own credit or debit card? How do you use it? Do your parents allow you to use their credit cards? Play “Let’s Make a Deal.” Use the list of items in this chapter or have the class create their own list. The students then guess how much they think each item on the list costs; compare guesses with the actual costs (which they can research online). Conduct a survey with each student asking their parents what they prefer to use for their daily and recurring expenses: credit card, debit card, or cash/check? Why? Have students take the quick quiz on good debt vs. bad debt. What does “risk” mean when we are talking about investing? Each student picks a company that is listed on the New York Stock Exchange. It should be the stock of a company that they are familiar with (e.g., McDonald’s, the Gap, Google, Amazon, etc.). Set a time frame in which the students follow the stock day by day or week by week in the newspaper or online. At end of the time period, each student prepares a visual graph of their stock’s performance and a short summary of why they believe their stock performed the way it did. What kinds of feelings do you personally have about money (e.g., guilty, happy, anxious, causes fights, etc.)? Do you or your families ever donate money or material objects/belongings? Divide the students into groups to discuss the situations concerning money and value judgments noted in the “Money and Right and Wrong” section of this chapter. Those students interested in the information noted in this section can prepare reports of their findings to the class. Use these as an integral part of your discussion and unit. It will hold your students’ interest and reinforce the information presented in the book. Jean Chatzky is the bestselling author of several books including Pay it Down!, You Don't Have to be Rich and Make Money, Not Excuses. 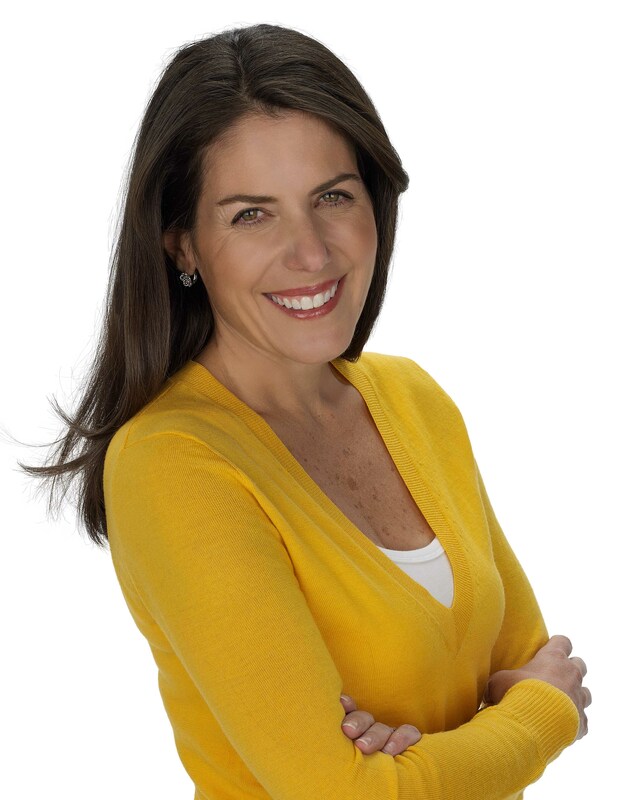 She is the financial editor for The Today Show and has is appeared on Oprah as a money coach several times. She has two children and lives in Westchester County, New York.